Home Assistant for iOS 2.0 is now available for beta testing! You can sign up here. Along with launching the 2.0 beta, i’ve started a Patreon to enable me to dedicate real time to Home Assistant for iOS as well as Home Assistant itself. I’ve done this after consultation with almost 10 people in the community and have built the program from their feedback. Without this support, iOS updates will sadly continue to be few and far between as I need to sandwich it between time spent doing an actual paid job. In addition, I will be adding a tip jar to the app to allow for one off donations to support my ongoing work. As of 2.0, you no longer need to worry about breaking your existing app configuration, the version in the App Store lives entirely separately from the beta and dev builds. If you are not interested in backing the project on Patreon, I totally understand. If you want to support me but don’t like the idea of Patreon, please DM me on the forums and we can work out an alternative option! 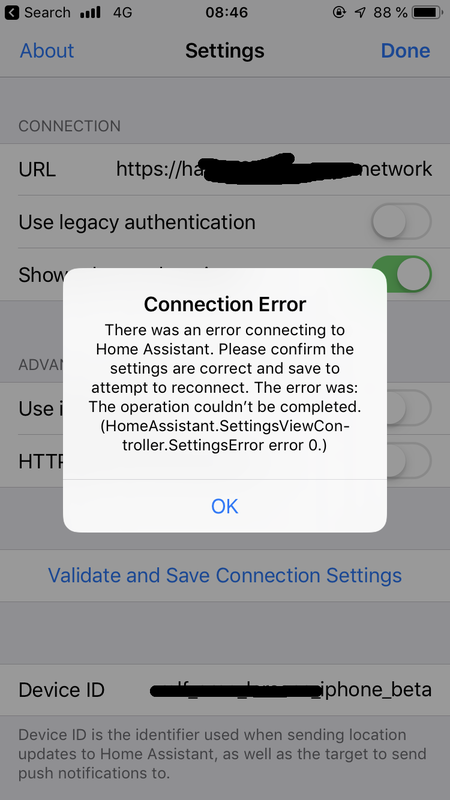 Finally, please be aware that as of 2.0, Home Assistant for iOS requires at least Home Assistant 0.90. All communication with Home Assistant, with the exception of getting camera streams, happens via a webhook, meaning that it is a lot more secure and less prone to breaking changes. It also allows me to not have to worry about updating the ios component. 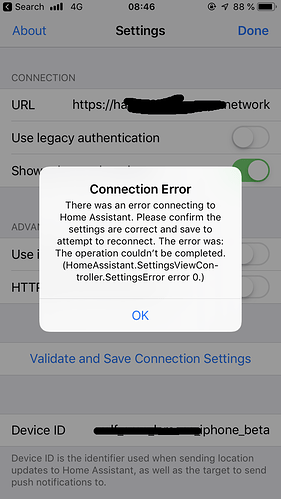 If you are a Nabu Casa subscriber, the webhook will automatically become a Cloudhook, which allows you to no longer have to open a port in your router for the iOS app to be able to communicate back to Home Assistant through. Finally, again, if you are a Nabu Casa subscriber, the app has been fully updated to automatically support the new remote UI, introduced in 0.90. Great work. Do you have an easy example for creating new notifications in app? Would love an example of Critical Alerts! Would love to start testing that out with my water leak sensors. Secondly; is there any docs about how to get the Apple Watch working; installed the Complication, but Home Assistant app seems to be empty on the watch. Can we now have a notification with picture from camers (not live stream) by using Home Assistant cloud remote ui? Awesome release, I’ve already added a shortcut which was amazingly easy btw. I’m with the above poster who needs some information on the notifications. Also, where is the tip jar function? You definitely deserve something for your hard work. Keep up the good work! You have caddy requiring a basic username/password as well as home assistant? 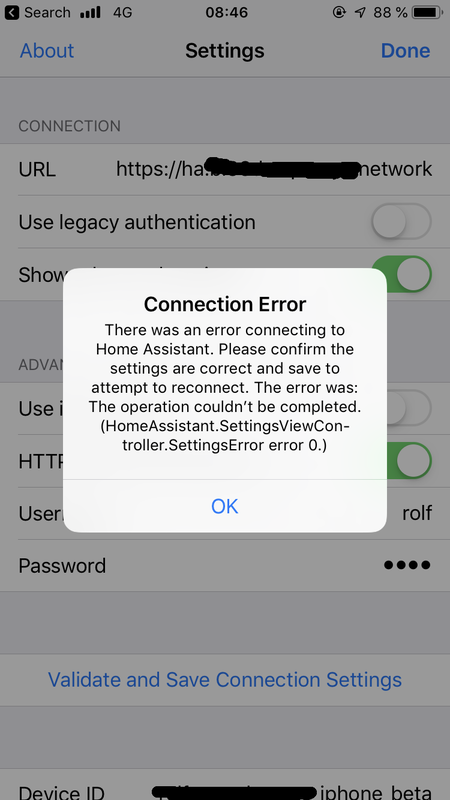 Are you sure you’re not confusing Home Assistant Auth with basic auth in the app? They are totally different things. I use caddy as well but don’t have advanced settings configured. I have Caddy with basic auth in front of HA, yes. It may be i have misunderstood the basic auth functionality, but which other possibility for basic auth does one have? So if you login to Home Assistant, you enter a username and password for Caddy and then a username and password to log in to home assistant? I have been running the Beta Testing from the beginning.my IOS HA app is on version 1.5.1(3) right now. How can I get Beta 2.0? Opened the test flight app but nothing about beta 2.9 there. Do I need to sign up again? For people who want to have a go at the whole new features I have example YAML code for critical notifications, actionable notifications and the whole new sensor data supplied with the device tracker on my GitHub repo. I’ll be happy to help with questions as my time allows. Thanks. But how do I do that? i dont see any place to sign up. Thank you. I missed that part. Thanks, looks great already. Now need to study the watch bit, looks great. One question so far, what’s the remaining sends? Trying the beta and it also seems much faster. Is it my impression or sensor information in the bottom of a page seems to appear slightly cut in the beta version? @robbiet480 Is it possible to get tap on top of window, to get page to scroll top, also on ‘Developer tools’ screens (as it does in other pages)? It never worked on stable version, it still doesn’t on beta version, not sure if it’s not supposed to or just a non-reported bug? Thanks in advance for this great app. So… you no longer need the iOS component? Does this mean that I have to adjust ah my notifications if my wife moves to this beta?